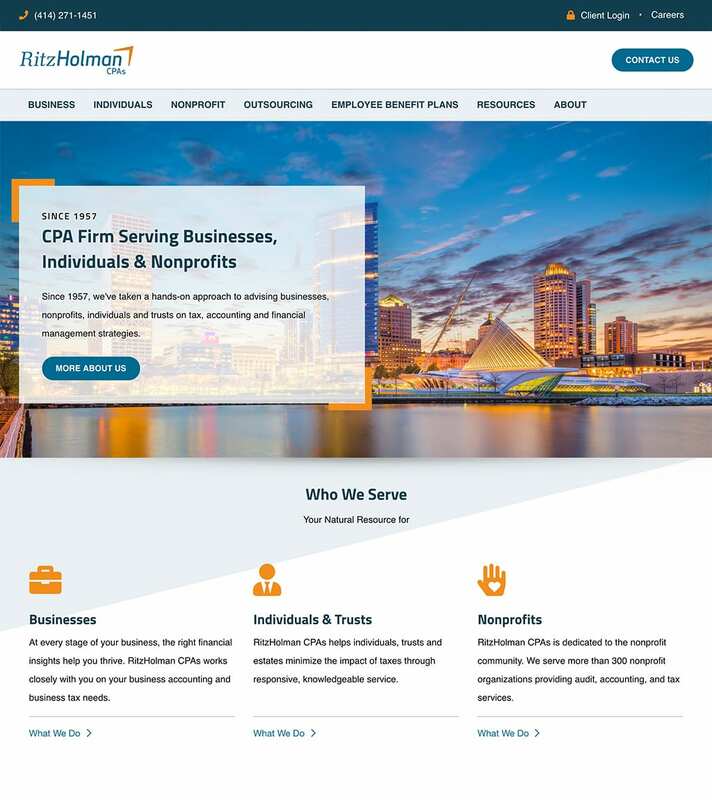 RitzHolman CPAs is among the top 25 CPA firms in Southeastern Wisconsin. 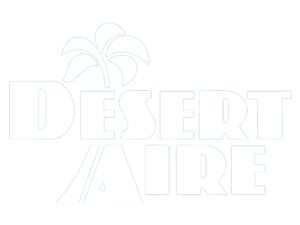 Their services extend to individuals, small businesses, trust & estates, and nonprofit organizations.  Their mission is to serve both clients & community with passion, exceptional knowledge, and superior service. 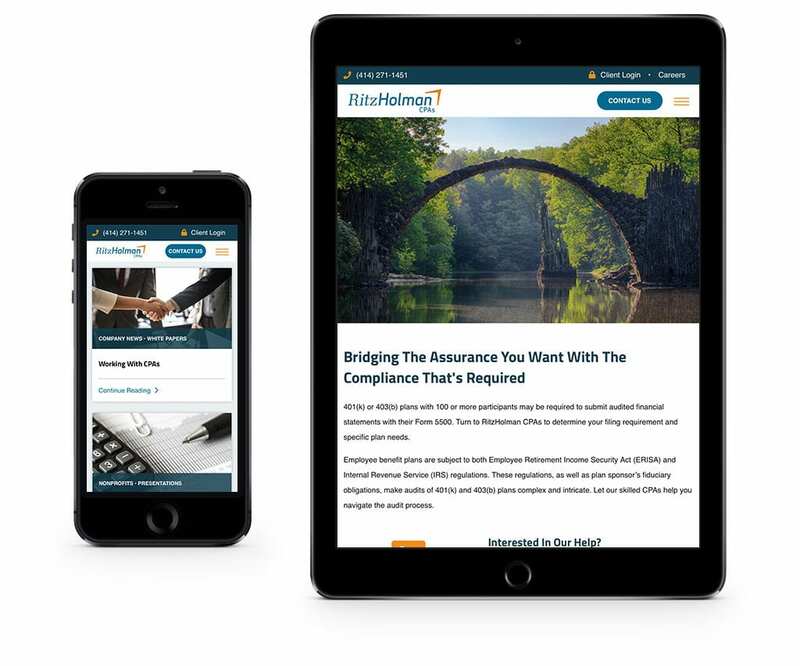 RitzHolman CPAs was seeking to redesign their website with an intuitive & user-friendly interface for prospects, existing clients, and employees regardless of the device they are using.  They needed a solution that would streamline business operations, be easy to maintain for their administrators, and provide relevant, meaningful content to all visitors. 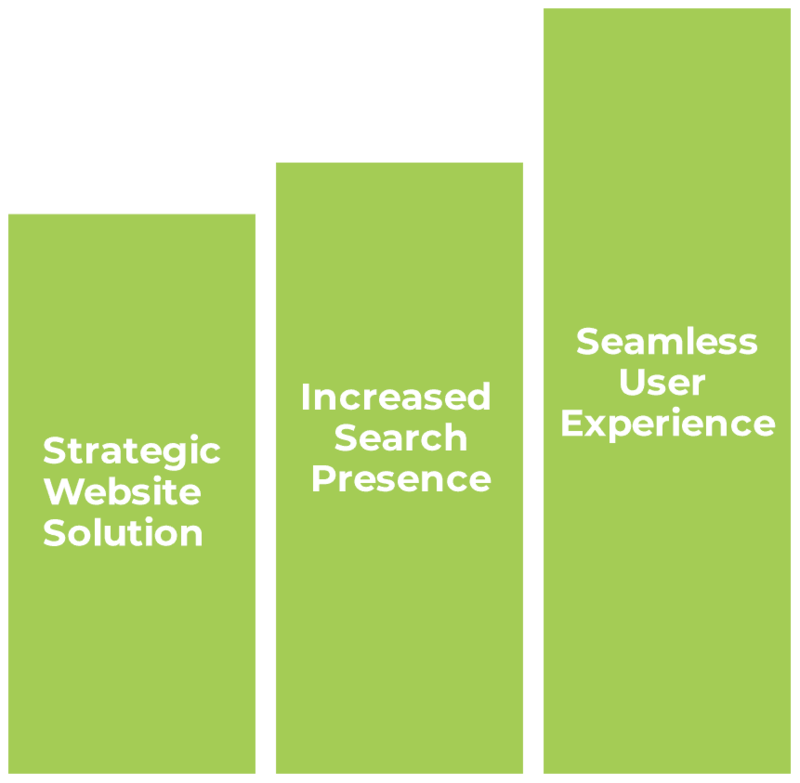 With those solutions in place, the success of the website redesign would be measured by its ability to convert visitors into clients, deliver better search engine visibility, and to promote their story & team as valuable resources. 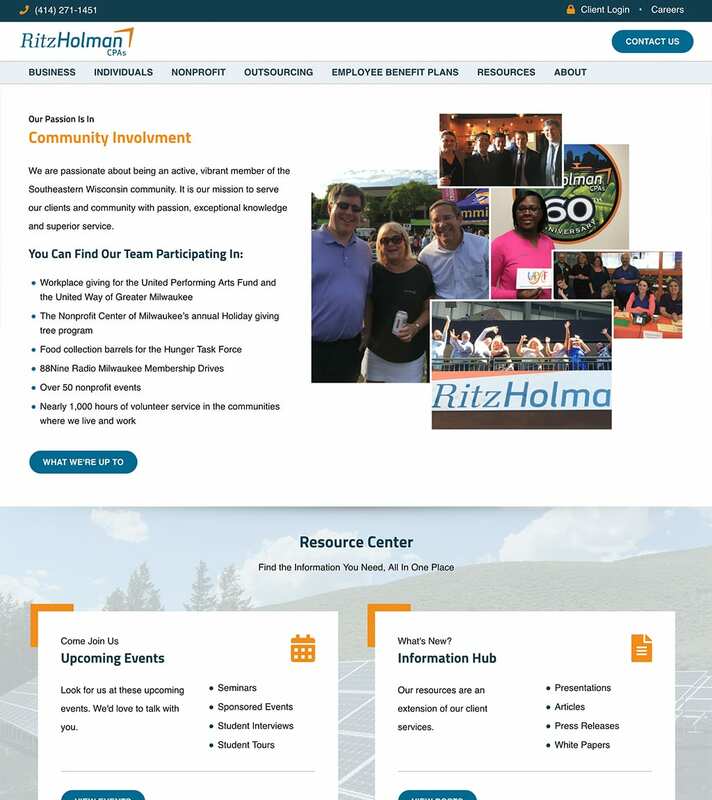 After taking time to understand RitzHolman’s needs & goals, we proposed building a responsive website, putting a strong focus on the user experience and executing an effective SEO strategy.  With a responsive website, it allows both visitors, clients, and employees to view their website on any device. In addition, we built the site in a user-friendly CMS, making it easier for their administrators to update, add or modify content when needed. 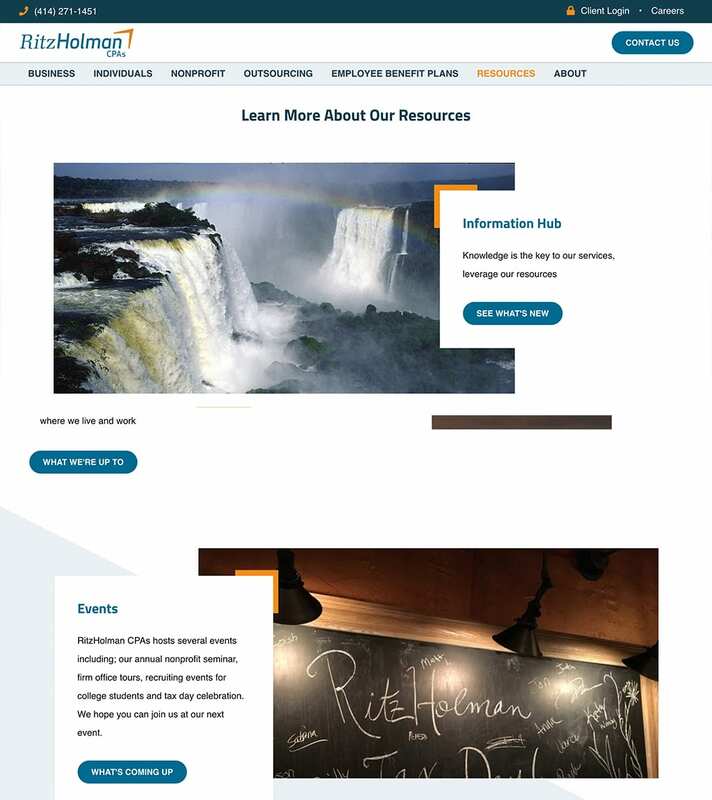 To enhance the user experience, we featured on the home page their three core audiences – business, individuals, and nonprofit. This gives their audience the ability to find the content specific to their needs quickly. We also provided better insight into their company for all visitors by showcasing what is most pertinent to their culture – team experience, resource center, and community involvement. When it comes to web design, our process is more than just building a user interface.  Throughout an entire website build out, our SEO team is present. 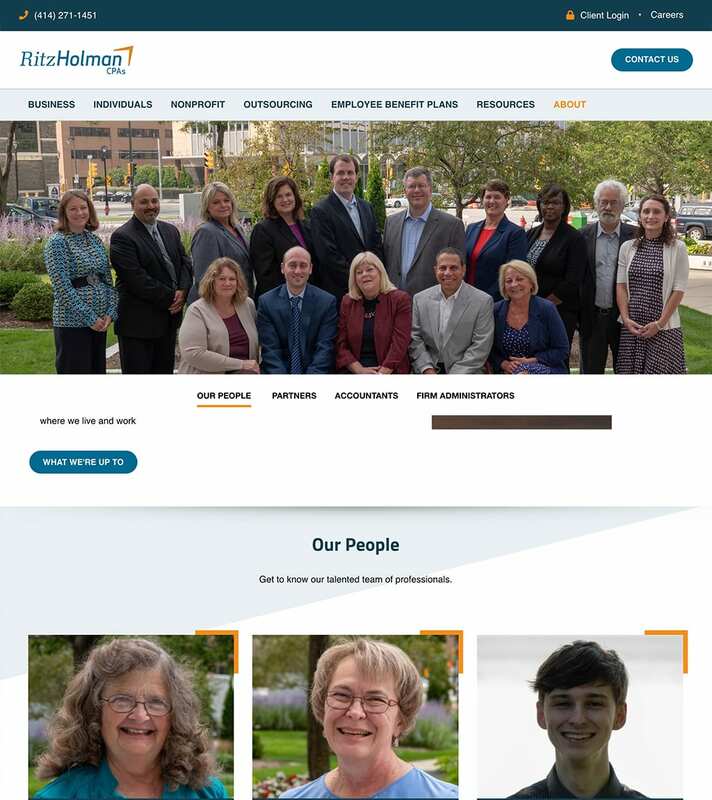 Together, our web & SEO team collaborated on keyword mapping pages to ensure that RitzHolman CPAs website would rank for search terms in the Greater Milwaukee Area. 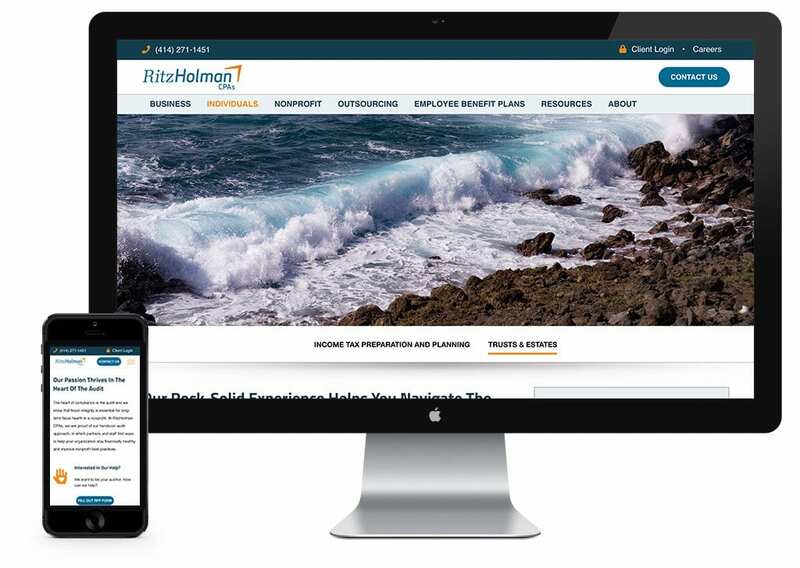 Together, we delivered a new RitzHolman CPAs website that did more than just look great across all devices. 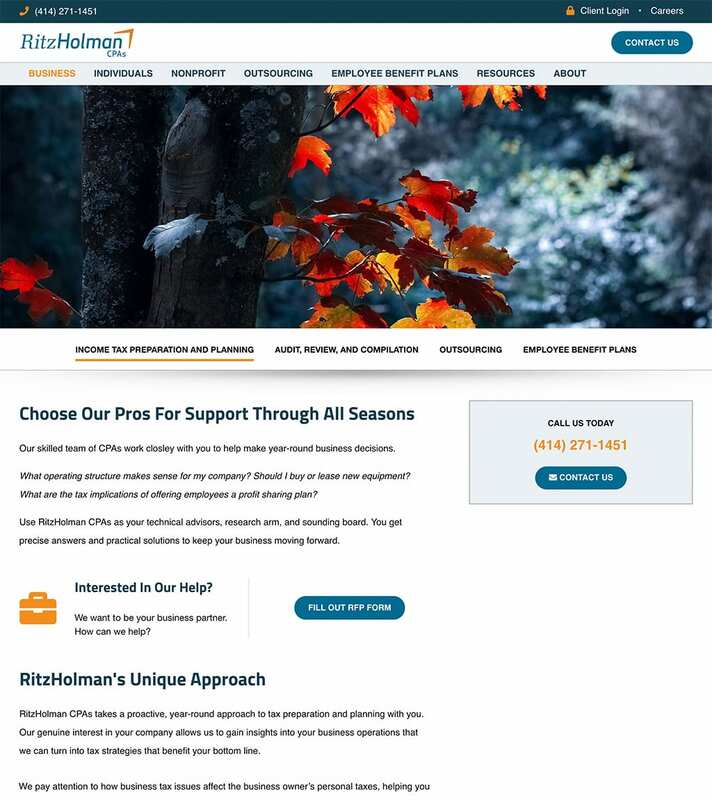 Our expertise in website development and digital marketing coupled with RitzHolman CPAs extensive industry knowledge, together created a strategic website solution that tells their unique story, positions them as a leader in the industry, and attracts and converts visitors into new clients.